Since our early days on UNC’s campus, 3Cs has been committed to challenging the memorialization of white supremacy on campus so we were thrilled to be asked to make a map for the zine of the FLOCK (Feminists Liberating Our Collective Knowledge). 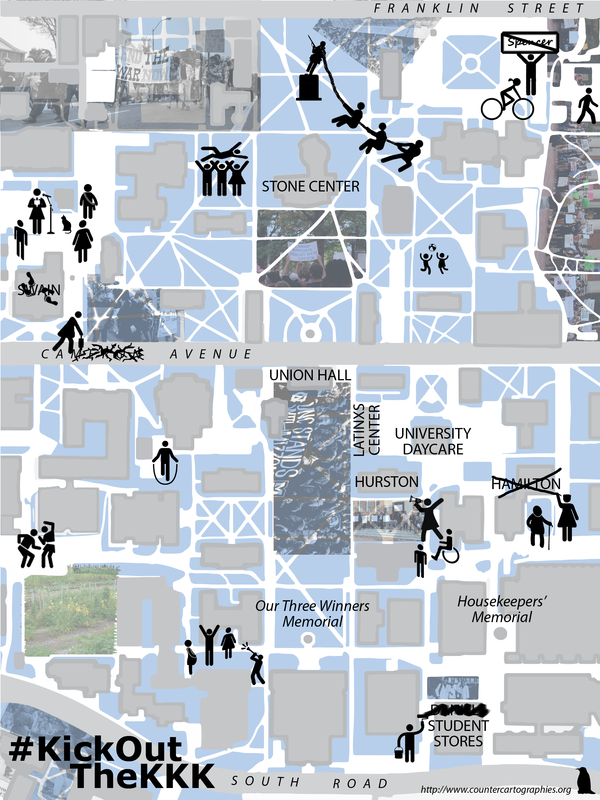 This is the map we contributed in an attempt to envision past, present, and future struggles on UNC’s campus and imagine the university we want. 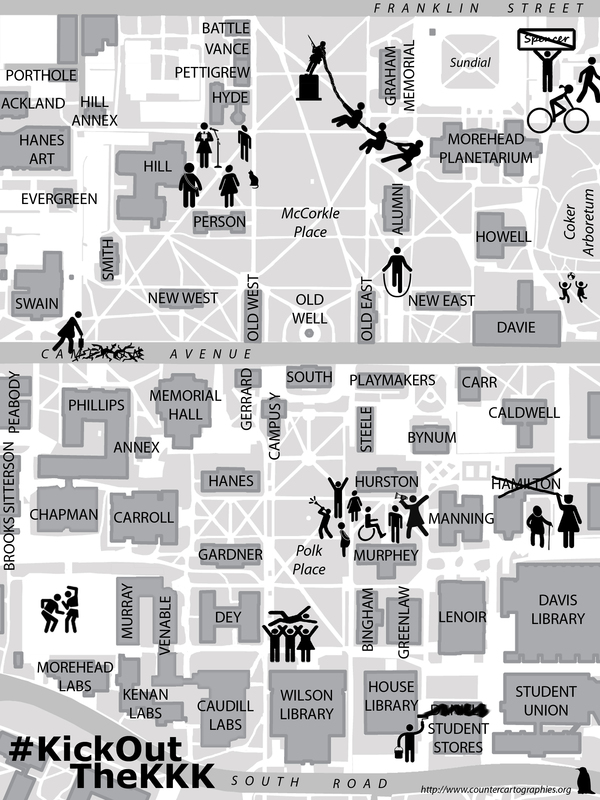 And check out the whole zine: Ruptures, Vol 1!